Cindy has been working with Lovelane since 2004. After hearing about Lovelane from a board director, Cindy came to Lovelane to volunteer and was hooked on the first day! 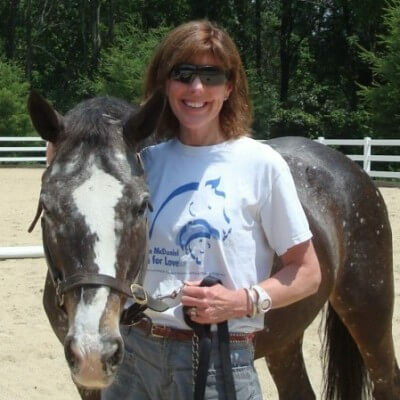 Cindy spent four years volunteering at Lovelane and then became a certified instructor in Massachusetts and PATH International certified instructor. Cindy is now a part-time instructor at Lovelane. Cindy has a BS in Animal Science from University of Rhode Island. Cindy volunteered with her therapy dog in hospitals and is the Director of the Adaptive Snowsports program in Waterville Valley from November to April.